Please welcome an incredible author, here to tell us about writing Steampunk, one of the hottest new genres right now. Heather knows what she's talking about - I've read her Steampunk, and damn it is *good*. Thanks for allowing me to visit today, Shoshanna, and discuss one of my favorite topics! Steampunk is an exciting buzzword in the writing field right now, but what is it? From my point of view, it is a form of alternative history literature which involves gadgets, often based on Victorian steam technology. That’s the steam part. The other part, the “punk,” is some level of rebellious attitude. While my steampunk has been based in Victorian London, writers have taken it all over the universe and all through time. It’s the gadgets and attitude that really make steampunk. 1. What time period are you going to choose? If it is historical, what caused your timeline to veer off established tracks? Some kind of invention, crisis, what? If your setting is completely imagined, what makes this a fruitful steampunk environment? 2. Gadgets! Common are airships, ray guns, computers and automatons (robots). Make up your own! In Captain Andrew’s Flying Christmas, I have the three of the four listed above, as well as advanced spyglasses and metal-eating beetles. 3. Clothing! Character style is very important in most steampunk tales. Usually, historical Victorian clothing is the departure point, from whatever country you are focusing on. Corsets, frock coats, hats and boots. Body jewelry or upgrades? Don’t forget the goggles! 4. Social mores. Once again, the formality of Victorian times is usually the starting point. Are you going to concern yourself with the plight of the poor and social inequalities? Are your characters upper crust, villains or working class? Or any variation in between? 5. Paranormal elements? When steampunk first hit the genre fiction mainstream over the past couple years, vampires in particular had found a new home. I’ve also seen werewolves, wizards and Native American magic. Will you include elements of magic or is it all about the science for you? 6. Attitude? What are your characters struggling against? Are they outcasts from society norms? 7. Society? Open, regressive, dangerous? Some authors I have enjoyed reading recently that might help you to obtain additional insight to my comments are Meljean Brook, Scott Westerfeld, Gail Carringer, Lindsay Buroker and Crista McHugh. Anthologies of steampunk tales are beginning to proliferate, such as Steampunk! Edited by Kelly Link and Gavin Grant. 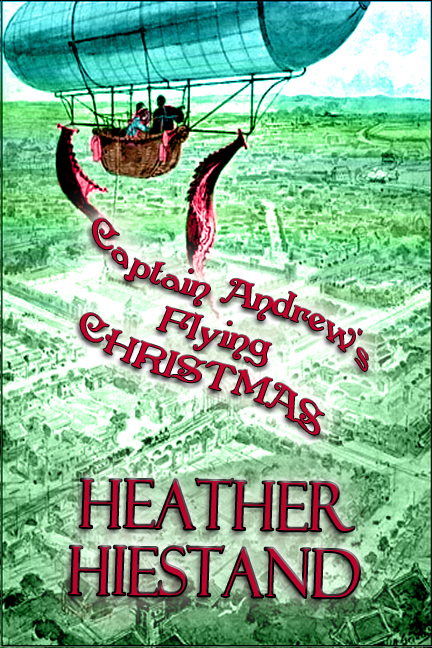 Heather Hiestand’s latest release is steampunk romance novella Captain Andrew’s Flying Christmas. Thanks for being here, Heather! I really enjoyed your steampunk, it was a great story! I have yet to read a steampunk book, but I think your article convinced me to give it a try! I find the whole genre fascinating and sort of scary too! LOL. I don't know how you even start to plot out and plan a book like this. Great article! I'm so intrigued. I'm going to have to check out some books!